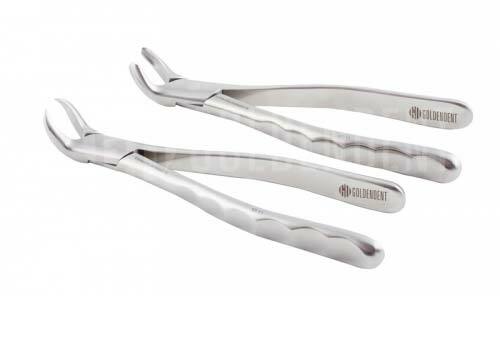 The GoldenDent GMX 23 & 17 cowhorn forceps are used to extract 1st, 2nd and 3rd lower molars with divergent and convergent roots. These are not your conventional cowhorns. Click to Learn More.